Why choose Abode? What makes us different? Abode was formed two years ago by four guys – all landlords and property developers themselves, who were fed up using other agents to sell their properties. 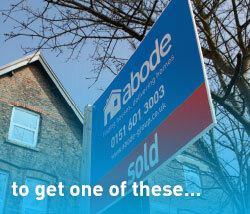 Having previously sold properties via local agents, it was clear their service was average at best. So much so, they opened their own estate agents. To allow us to do viewings and meet buyers outside of conventional working hours. We know exactly what it takes to keep our customers happy. After all, our directors are our customers too. Our staff are highly trained and really friendly. They understand the market and understand what it takes to sell your home. When we meet you, we will find out exactly how often you would like us to speak to you, as well as give you accurate and honest feedback after all viewings. Our owners are also financial advisers. Who better to help you to purchase your property? 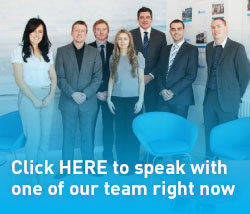 We also have in house mortgage advisers ready to help you buy. 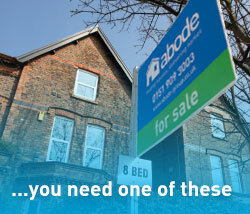 We don’t need to charge any upfront costs because we are confident that if you choose Abode, we will sell your home. Our sales fee is the only fee you will pay and this is payable on completion. Once we’ve agreed the sale of your property, we do not leave you to fend for yourself. 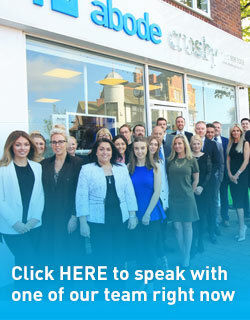 Abode’s sales progression team will provide expert advice and assistance right through until completion.